The rotational diffusers of the series THT are designed for their application in theatres auditoriums, cinemas, etc. They are mounted on the vertical side of the steps or under the seats in the inclined or horizontal plane. These diffusers are not suitable to support the traffic of people or heavy objects. 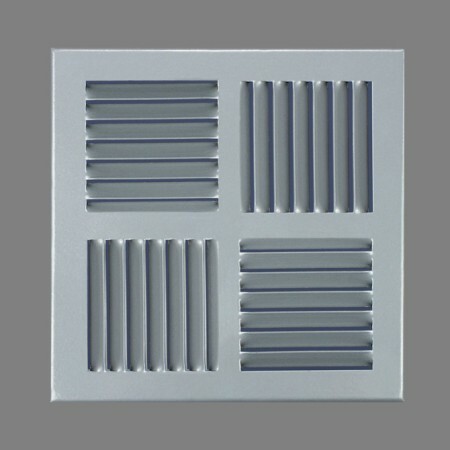 To obtain a rotational effect of the air stream, the plates are divided into four diffusion sectors orientated to different directions. These diffusers can be used for a temperature differential of 6º C, obtaining a high performance in the sound pressure level in the comfort zone.